What’s more fun than showing your sweet little girl off to the world? Showing her off in a smart little outfit that matches your own! C’mon moms, you know it’s true. And luckily, the world of fashion has evolved considerably since those awkward family photos with your own mom (those matching velvet polka dot tracksuits from the 80s are still burned in your brain)! There are some seriously cool matching outfits available now, in just about any theme, meme, or sentiment you prefer. Just as mama needs her coffee to get through the day, so does baby girl need her milk! 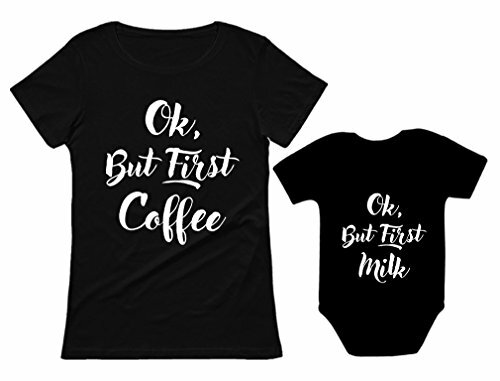 Although mom probably doesn’t get the same essential nutrients from coffee as her baby does from nursing, the sentiment is the same: sustenance first! Who doesn’t enjoy a good coffee joke? 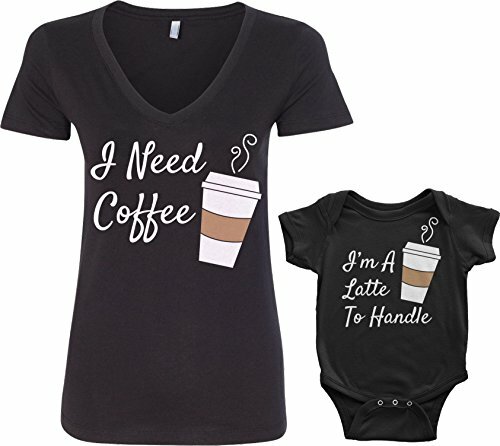 Imagine mom wearing this shirt while holding a delicious baby girl in one hand and a scrumptious macchiato in the other. It’s hard to say which of the ladies would be cuter! 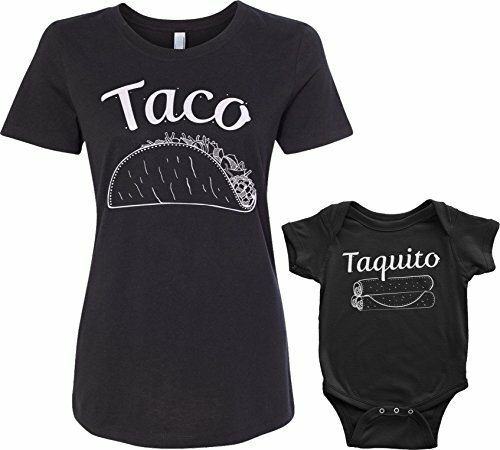 Since tacos are easily the most delicious nourishment on the planet, it is only natural that your hot mama and her mini-me be referred to as “taco” and “taquito.” These shirts come in several different colors, so if mom wants to be a different color taco every day of the week, so be it. We all know that although mom is the adult of the relationship, the smallest person with the largest lungs is the one who is truly in charge. It seems fitting, then, for mom and daughter two wear these adorable duds. 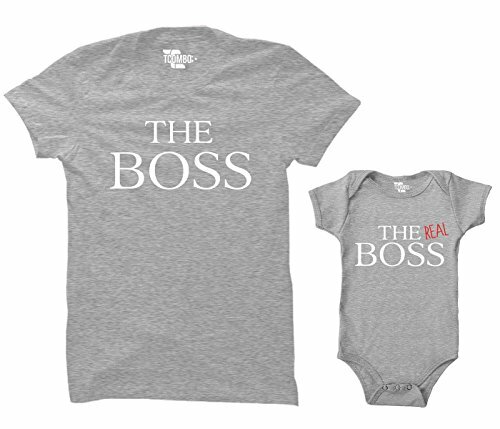 The Real Boss will no doubt appreciate the recognition. “Where did she get those bright eyes?” “Look at her smile! Where did she get those dimples?” “Oh my! She has lungs! 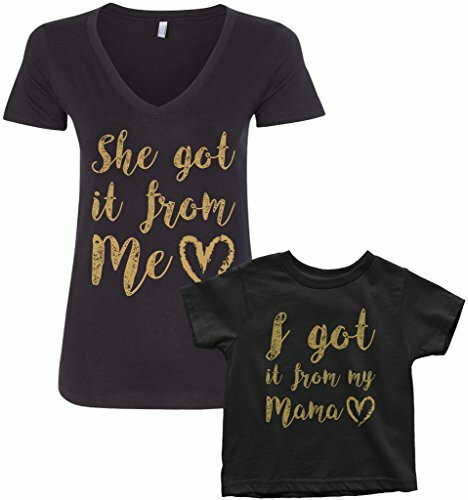 She got her voice from her father no doubt.” These sweet matching shirts announce to everyone what mom and daughter already know: She got it from her mama. Although it’s doubtful that Dr. Evil and his tiny doppelganger would wear these matching outfits, mama and her own tiny twin will be fit for the big screen! 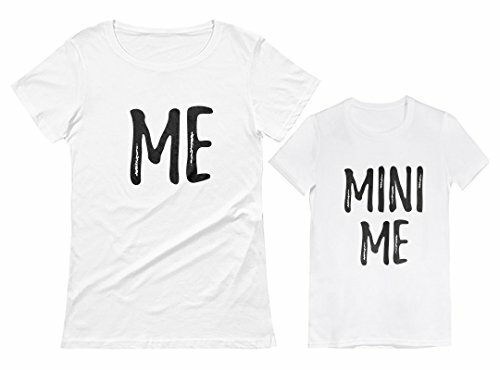 Not that anyone will need labeled shirts to define them as the cutest of twinsies, but… they can’t hurt. 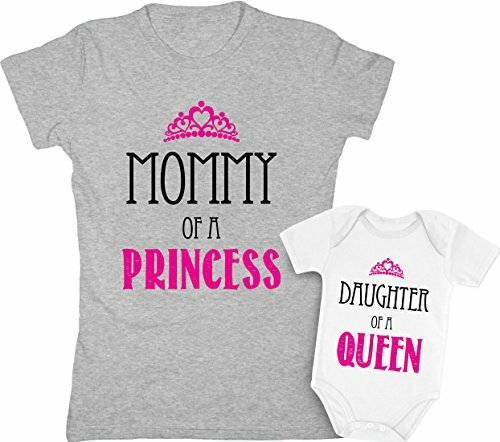 There is no doubt that mom’s little bundle will be her little princess, but few moms remember that if the little one is a princess, they themselves are a queen. 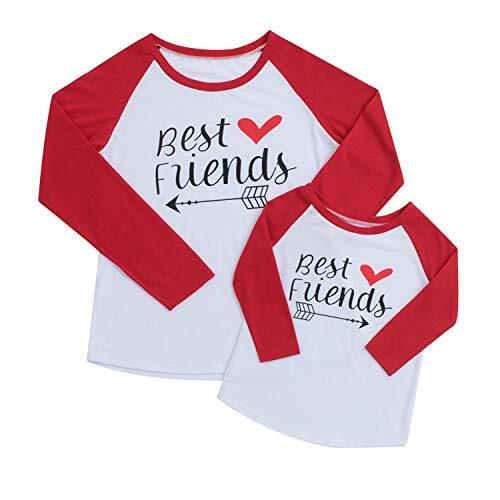 A set of matching shirts like these will be a constant, adorable reminder! Mom has always wanted a little girl to dress up and fuss over, and now she can! It’s more than just having a plaything, though. Mom has found a piece of her heart that she didn’t know was missing: her best friend! These matching shirts show what is tattooed on their hearts. 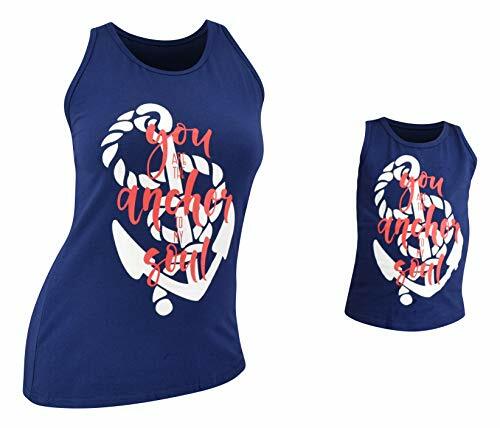 We don’t want mom and daughter to be dressed like everyone else, and these nautical themed racerback tanks are adorably unique! The text on the shirt simply announces what everyone knows, that mom and daughter are linked together in love. 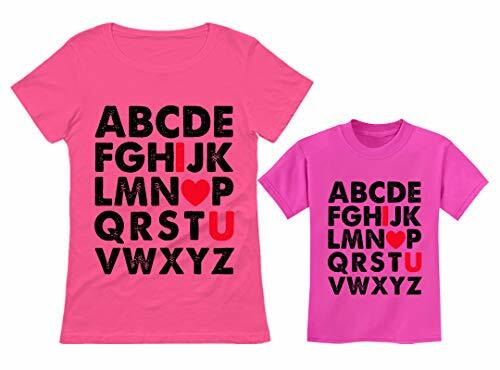 At first glance, these sweet pink shirts simply show all 26 letters of the alphabet. 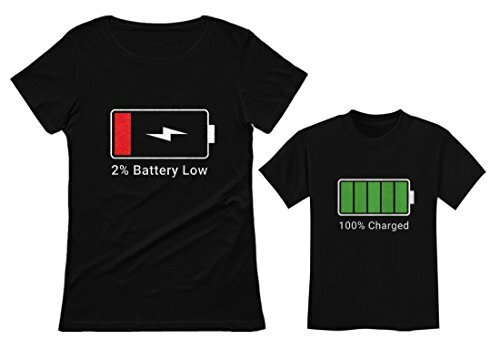 Fitting for children’s clothing, right? But once you notice that the “O” is actually a dainty little heart, you’ll also see that each shirt says “I Love You.” How cute is that! 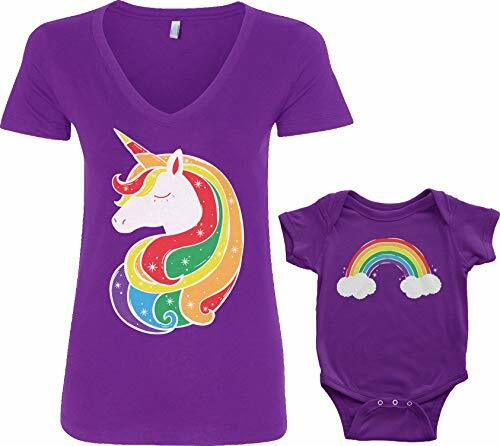 Little girls love unicorns! And rainbows! And matching with their mama! All other toddlers in the neighborhood will be jealous when mom and tot stroll down the street in these colorful, complementing duds. Here comes the Unicorn Squad! Mama and her little girl love to be the fashionistas of playgroup, and their new favorite outfit is here! 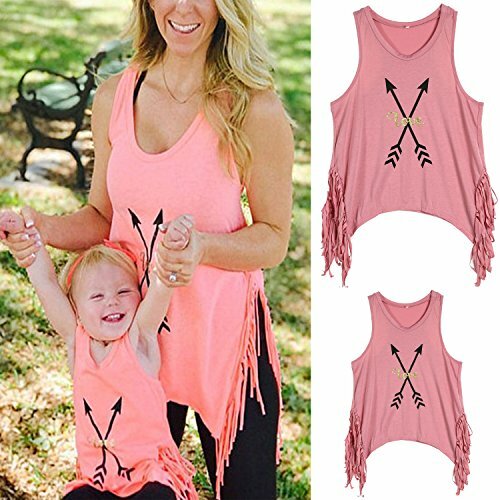 These uber cute fringed tanks with their chic arrow print and sparkly text are not only hot and trendy, but they’re also comfy and fun to wear! Although this is technically labeled as a Christmas outfit, the buffalo plaid and deer head are fashionable enough to be worn in any cold weather! In fact, these soft, long-sleeved shirts would be perfect for a family photo shoot, Christmas or otherwise. Just as she won’t sleep properly for the next 18 years, so will mom have to suffer with being late for everything for the next two decades. 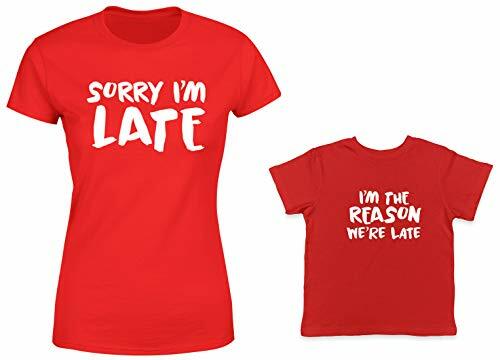 She’ll get tired of explaining her tardiness, so donning these matching tops will allow the explanation to make itself, and save her from deciding what to wear as she’s running out the door. Win win! Well, mom might not get a full night’s sleep for the next 18 to 20 years, but she can still look fabulous. 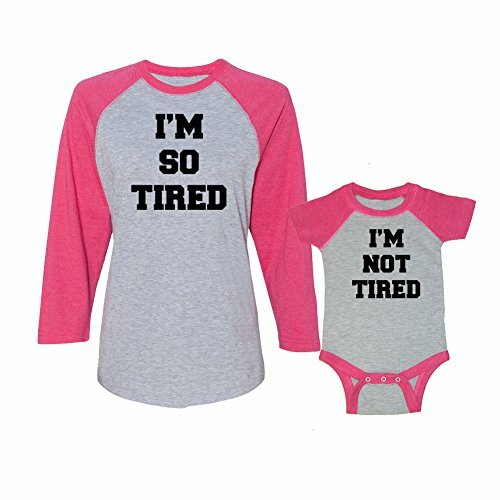 She can look particularly fabulous next to her little one – the cause of the sleepless nights – in these matching shirts. Sunglasses, coffee, and a cute top can make a world of difference. If there’s anyone who knows about running on low energy, it’s a mom. And if there’s anyone who looks as fresh as a daisy when everyone else around them is exhausted, it’s a baby! Not only will everyone get a chuckle when mom and babe wear these shirts, they’ll completely understand. 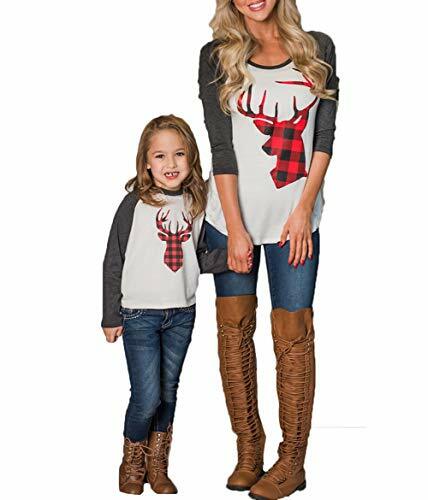 Whether or not mom and daughter end up on the cover of the coolest parenting magazine, these matching outfits will make them the stars of the neighborhood. More than that, though, the clothes will give them one more reason to bond, an outward representation of the connection in their hearts. It’s also just plain fun!